​the world and to regard the whole human family as one." 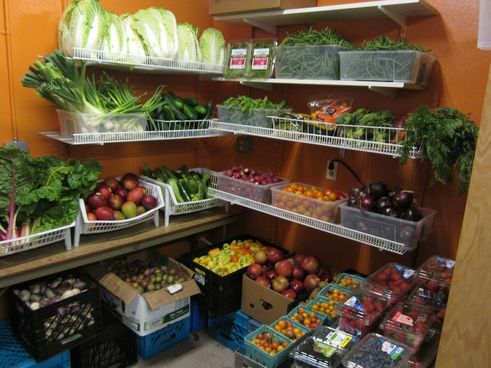 ​Lift Urban Portland runs a food pantry affiliated with the Oregon Food Bank network of providers. Tuesdays and Fridays, noon to 2:00 p.m.
Thursdays, 5:30 p.m. to 7:30 p.m. The Lottery takes place 5 minutes before opening to determine your place in line. The pantry is served by TriMet bus lines #15, 18, 20, and 77, and the Portland Streetcar. ​Pantry visitors may visit our shopping-style pantry once a month and select from fresh produce, yogurt and dairy, dry and canned goods, meat, and eggs. Recipients must be within eligible income guidelines, and live in our service area. Visitors leave with about three grocery bags of food. prepared to transport the groceries. If you live in the following zip codes, you may be eligible for services. To see current income guidelines, click here. 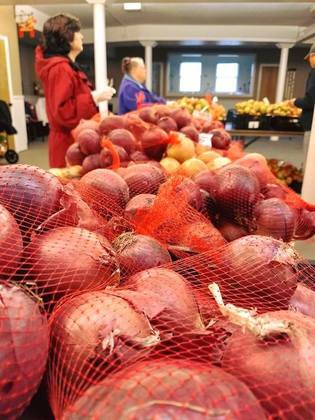 ​The Free Market program provides fresh produce from the Oregon Food Bank. Lift Urban Portland is an equal opportunity provider.